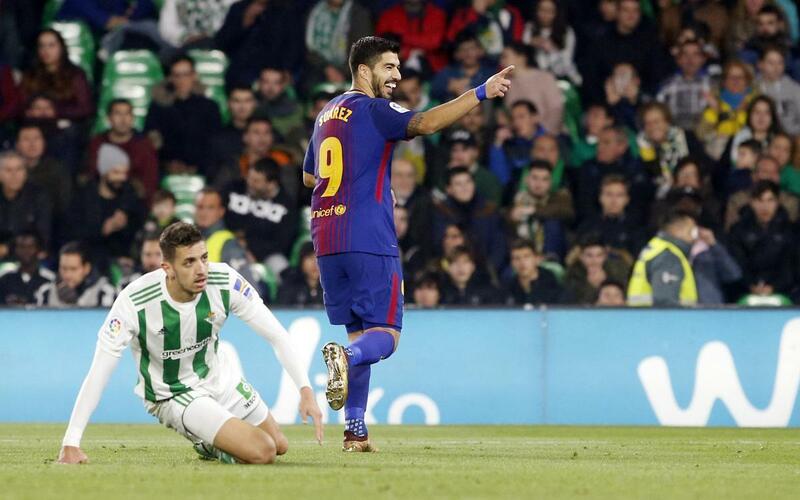 Luis Suárez has reached 100 goals for FC Barcelona in La Liga. The Uruguayan striker has done so in just 114 matches in the league and is now part of an exclusive club that also contains Barça legends such as Leo Messi, Kubala, César and Samuel Eto’o. Some of those 100 goals are well remembered by the Barça fans, such as his goals against Real Madrid, a team he has scored against in each of his seasons as a blaugranes. Suárez has scored four goals in a game against Sporting Gijón and Deportivo and won a Golden Shoe award and a ‘pichichi’ award for being top scorer in the 2015/16 season with 40 goals. This season the striker has 15 goals in 17 league games; in his first campaign he scored 16 goals in the league, in the second 40 and in the third 29. In all competitions the Uruguayan has 137 goals in 174 games with FC Barcelona.